Rabbi Don Yoel Levy is one of the foremost Rabbinic personalities in the world of kosher certification. He serves as the CEO of the OK Kosher Certification Company. Rabbi Levy is renowned for his vast scholarship and unshakeable principles which have inspired the kosher industry to strive for the hightest standards. 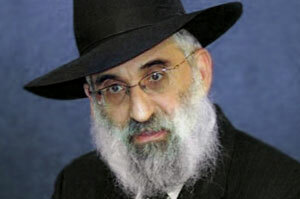 Born in 1947 to Rabbi Berel and Thelma Levy, Don Yoel studied at the Philadelphia Talmudical Yeshiva and later at the Yeshiva in Kfar Chabad, Israel. At the conclusion of his formal studies, Don Yoel received rabbinic ordination from no fewer than three leading Jewish figures, among them the esteemed Rabbi Moshe Feinstein. Rabbi Levy continued to study Torah in Israel for 7 years after his marriage. In 1977, his father, Rabbi Berel Levy, asked Don Yoel to return to the United States to assist in the running of the OK Kosher Certification. For a ten-year period, Don Yoel worked under the tutelage of his famous father; soaking in the vast quantity of knowledge and guidance Rabbi Berel Levy had to offer. In 1987, upon the untimely passing of Rabbi Berel Levy, Don Yoel assumed leadership of the OK Kosher Certification Company.